Members of the Athol Bird and Nature Club scoured the local area for signs of spring migrant birds. The group led by Dave Caldwell, James Mallet, and Mike Polana met at Harvard Pond in Petersham where Great Blue Heron, Canada Goose, Wood Duck, Yellow-rumped Warbler, Chipping Sparrow, Swamp Sparrow, Common Yellowthroat, American Crow, Red-winged Blackbird, Baltimore Oriole, and Tree Swallow were Identified. Stopping behind the Petersham Town Barn Chimney Swifts, looking like little flying cigars, coursed over the pond with many Tree and Barn Swallows House Sparrow, Mourning Dove and Common Grackle were added as a Beaver watched from the pond. The power lines in Nichewaug produced great looks at several Eastern (rufous-sided) Towhees plus Prairie Warbler, Chestnut-sided Warbler, Least Flycatcher, Field Sparrow and Blue-headed Vireo. Also in Nichewaug were Black and White Warbler, American Redstart, Yellow Warbler, American Robin, Tufted Titmouse, Northern Cardinal, and Black-capped Chickadee. The group entered the Federated Women’s Club State Forest in search of woodland birds. It didn’t take long before the group was rewarded with a host of new species for the day. Northern Waterthrush, Black-throated Green and Black-throated Blue Warblers, Brown Creeper, White-throated Sparrow, Winter Wren, Red-breasted Nuthatch and a very vocal Red-shouldered Hawk were observed. At South Park Industrial Area in Orange the group observed: Killdeer, Green Heron, Solitary Sandpiper, Least Sandpiper, Herring Gull, Eastern Kingbird, and Red-tailed Hawk. The final stop of the day was at South Athol Pond where Warbling Vireo, Kingfisher, Hairy and Pileated Woodpeckers, Song Sparrow, Turkey Vulture, and Osprey were added to the great day list. Other species seen or heard were American Toad, Spring Peeper, Painted Turtle, and Fragile Forktail (damselfly). The next meeting of the club will be 7:00 Wednesday night May 12th at the Harvard Forest Fisher Museum where Ed Klekowski, Umass biology Professor and scuba diver, will present a program on the “Underwater World of the Connecticut River”. Thursday May 13 the ABNC with Massachusetts Butterfly Club will begin the Butterfly Institute, an introductory course in butterfly identification and appreciation. The course fee is $50 and includes 8 Thursday evening lectures and a field trip each weekend with a qualified leader to search for local Butterflies. There is a limited number of available seats if you are interested contact Dave Small 249-2094 for details. 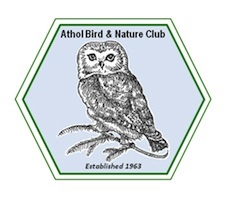 Jeff Johnstone continues with “Friday Morning Birding” every Friday in May, meet at Victory parking lot in Athol at 7:00 AM for an hour or two of pre-work local birding. Bob Coyle will lead the 35th annual Trip to Northfield on Saturday May 15th. Meet at 6:00 AM at the Athol Middle School or 8:30 AM at the Northfield Country Club.